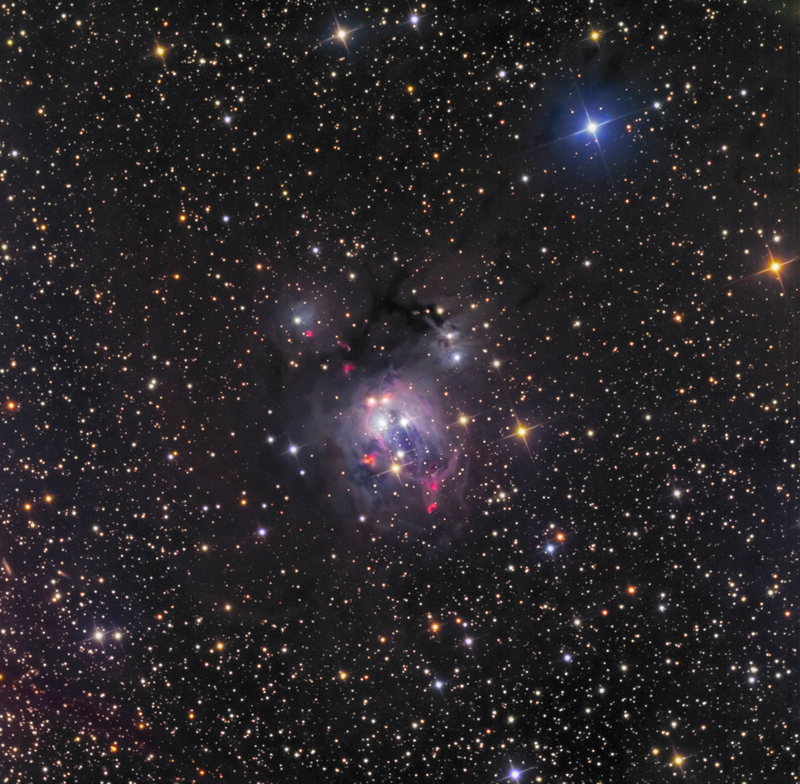 NGC 7129 is a reflection nebula in a star forming region in the constellation Cepheus. It lies in the Cepheus Flare in a region of a young star cluster of B-type stars along with several low-mass, pre-sequence stars. The longer pinkish arcs near the lower right and upper left of the main reflection region represent molecular ridges. The bright, small, curved pink object near the bottom of the reflection region is a Herbig-Haro object (103). There are several more near the top of the reflection region, also representing fast outflows from young stars.